You are in the Knowlegde Base. DebianPlug is a SheevaPlug which runs Debian Stretch. It is my public server: the box you are requesting from ! I bought it on february 2010, only because it was a 5W machine that could stay on all of the day. You simply configure it and plug it on electric power and you are done: no need to hide it because it is so small and completely fanless. 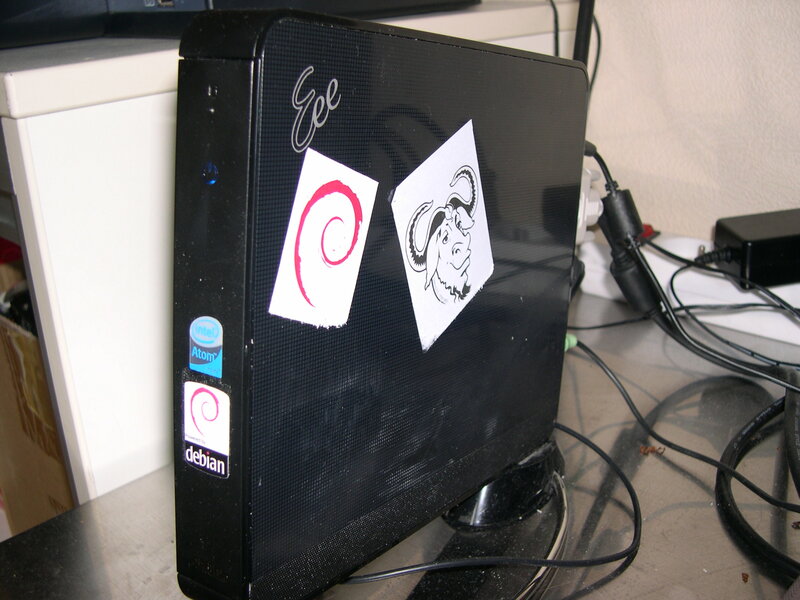 Even nowadays I can still use it as a true server thanks to the Debian project, because they are building quite a light and versatile operating system! I had only one problem with it: the PSU just burnt two years after buying. I replaced it quite easily. Goofy is my backup server. It is an old HP tower computer from my former work. It's a machine dedicated to backup. I power it only once a week and it launches backups of all the local computers automatically. Once backup is done (with or without errors), it sends me a report by mail and it shutdowns. As a result it doesn't consume lots of power. Typical backup is only 1 hour long so it is powered only 52 hours per year (for a max of 100W, we have only 5.2kW per year so it does cost about 5€ of electricty per year). It is not exposed directly to the LAN but is connected through my main workstation ("Tower"). Therefore, local backup from Tower to Goofy are made throug a 1GB ethernet connection (compared to an average of 80MB by Wifi). There are 3 disks on this server: 1 for the system and two 3TB paired in RAID1 for redundancy. To have an easier access to the RAID, I have built a custom rack from old CD-ROM drive chassis in order to use the 5'1/4 bays at the top of the tower (and because there wasn't any place elsewhere to put the disks!). 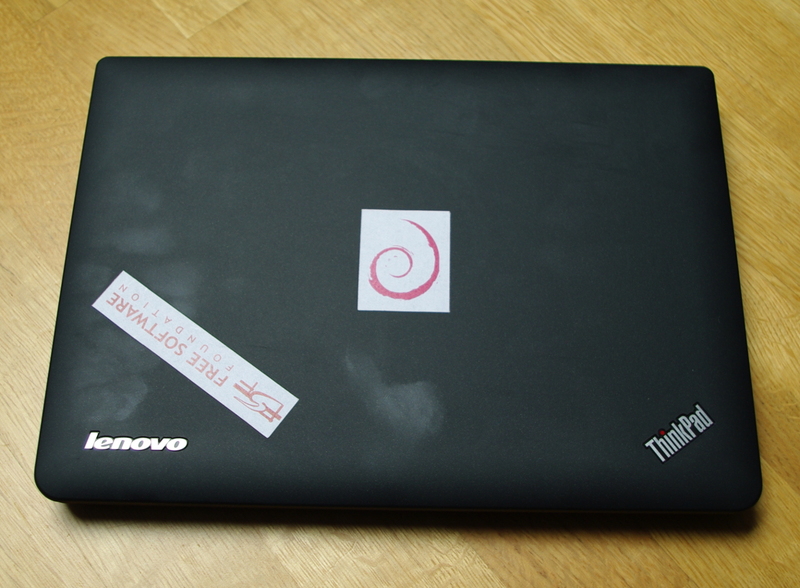 As for all of my other computers, it runs with Debian, the real universal operating system! Hard disk 80GB for system + 2x3TB in RAID1 for backup. Power Consumption 5.2kWh per year. Tower is my new tower chassis computer. I bought it on january 2013 and tried to have the best components for the best price. My goal was to be able to play 3D games and have a decent machine that could handle about 5 years before beginning to slow down. I play Flightgear on it with the max details and a lot of other 3D games. I have bought separate components from ldlc and I am proud to say that I didn't have to buy a Microsoft Licence to run it. Power Consumption too much watts ! Trick is the name of my new laptop. 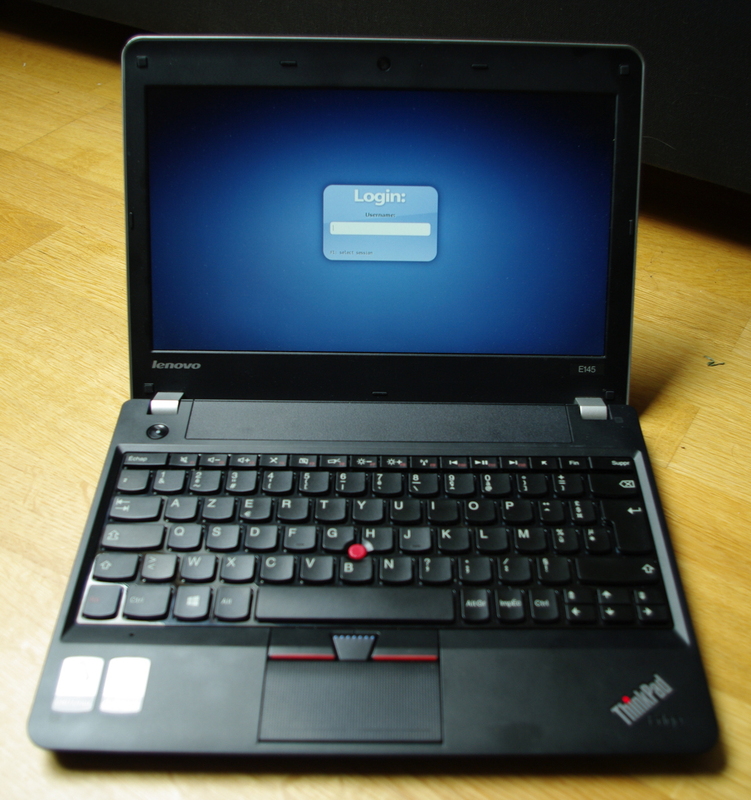 It is a Lenovo E145. You can have moarre details about its config. It is a not so fast laptop but it has a real battery which can drive it for more than 7 hours. That's all I need to have. With this little computer, I mainly write my blog articles in the train from work to home... and play old school games from the 90's (the best games ever made) ! Keayboard Chiclet keyboard without Padnum. 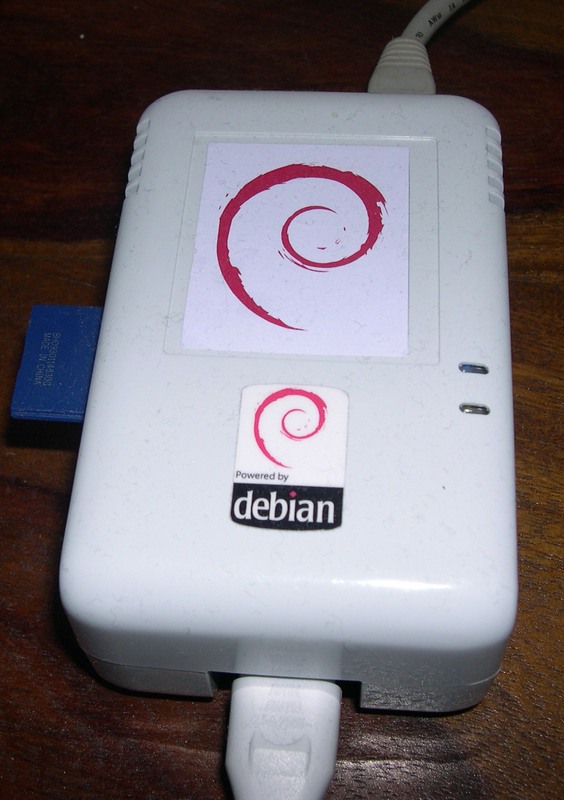 DebianBox is an EeeBox which runs Debian Wheezy. It was my main home computer. I used it a lot and bought it on september 2008. It was a really low noise machine and it consumed very few energy. Its compact size is a real advantage on a limited size desk. I must admit that its Atom CPU is not really fast and I also suspect disk drive to be not very fast. 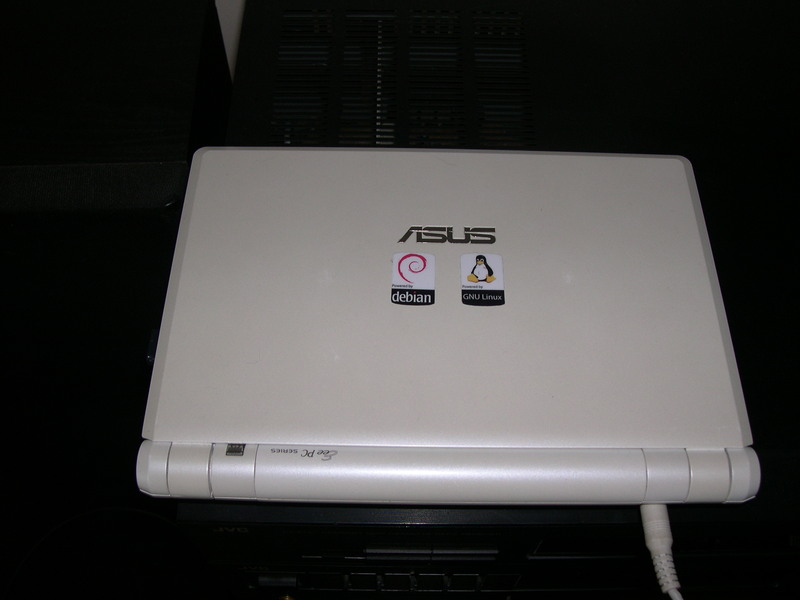 Medeeepc was an EeePC 701 which run Debian Squeeze. Even after 4 years, it was still very useful. I bought it on february 2008. It was the first notebook. It comes with very few power but it proves to be very resistant: it landed hard on the ground a dozen of times and was still very valiant after ! I also used it as a music player as it was connected to an old stereo with a RIAA antifilter cable. I'd like to give it for free: read more on this blog article. I used to put my public website on this box. I bought it just because it was a cheap way to have a low power consumption computer (about 25W). 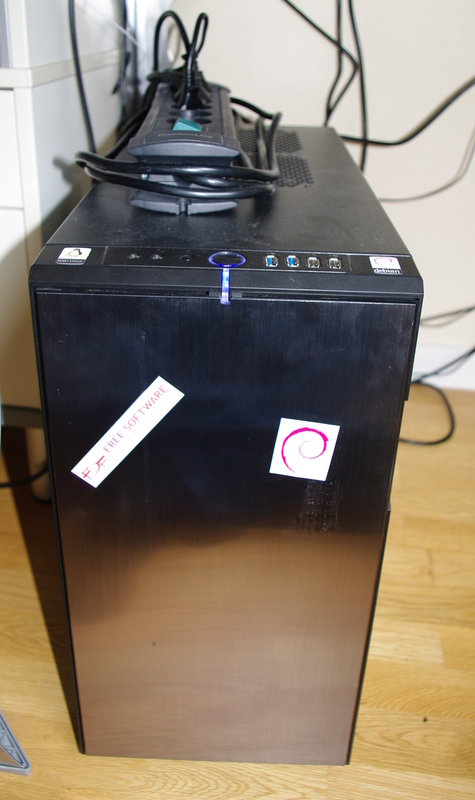 The installation of Debian (Lenny at that time) was a bit painful because this box use EFI and not BIOS: it was very hard to boot an alternative operating system on it due to boot restrictions (only signed binaries). A kind of UEFI premises ! When I bought the SheevaPlug, I sold it: when you do not need a box anymore, just try to sell it. Otherwise, give it to anybody. It was a dual CPU (Athlon M) motherboard with quite a powerful electric power. Really noisy. I build it when I was still a student (2000-2001). I wanted very good power and quite an exotic hardware because when I was young, I always used recycled or old hardware... Over the years, this box got two motherboard under the same chassis: the first one broke suddenly. A CPU overheated and I manage to run it for a few months with only the other one. Then, one day, motherboard completely broke. For its replacement, I bought something very cheap (a basic AMD motherboard with a mean power CPU). The previous bad experiment prevented me to buy exotic (hard to find and quite expensive) configuration. About ten years after building it, I decided to give away the chassis as it was a really waste of space.